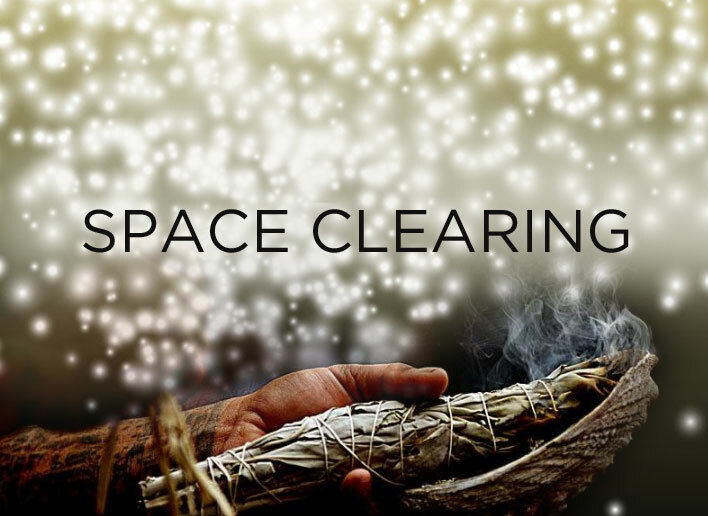 Space Clearing is a way to create and purify to bring harmony to your home,business and land.Space Clearing is the Feng Shui art of clearing and revitalizing energy in your homes business and land.Space clearing dates back to ancient history. Energy is recorded in the floors,ceilings,walls and furniture.Leaving stagnant energy and residue in home,business and land. Clutter clearing is a step that's recommeneded before a space clearing.Space clearing is a very sacred ceremony using different tools to move stagnant energy. I use many tools,prayer,meditation,Reiki,sage,salt,incense,candles,music,drum,bells,finger map,crystals,statutes,flowers,flower essences,essential oils,holy water.Each space clearing is done specifically for home or business.Using my tools,prayer meditation,Reiki and guidance developing a ceremony to remove stagnant energy to bring in miracle blessings,with the help of my space clearing guides,spirit guides,angels,ancestors,assended masters,anyone in spirit who wants to help and animals and of course the creator,to bring in a Successful clearing. 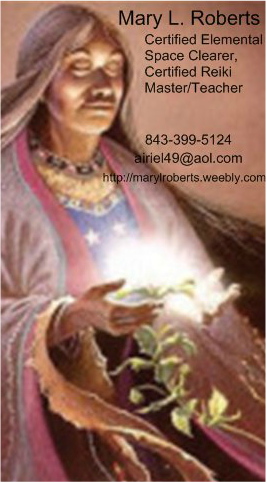 If I can help you my name is Mary L. Roberts. My services are done with heart and soul to help you. When we talk and go over what you need I will set the price for clearing. Space Clearing and Reiki work hand in hand.Bringing clear and positive results.